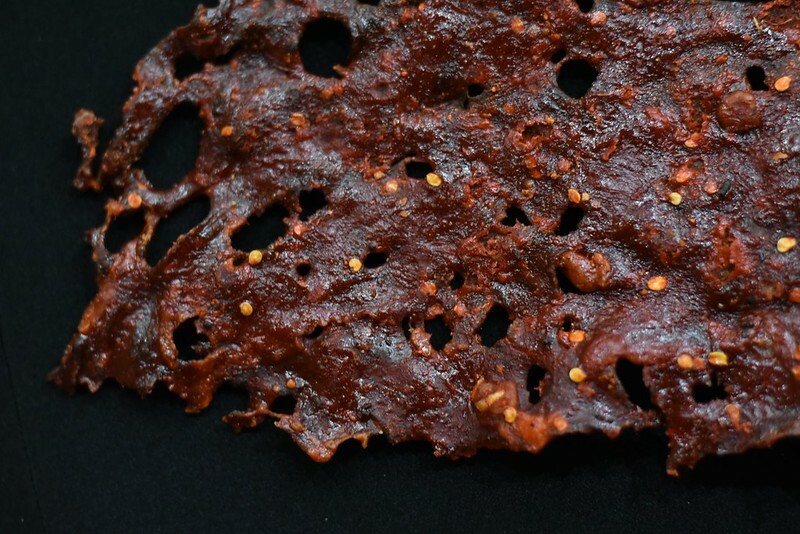 ‘Kilishi’ is a northern Nigerian nut-seasoned sun-dried meat snack similar to beef jerky. It generally refers to beef, sheep or goat meat processed by dressing, slicing, sun drying, application of some slurry of spices and roasting over coals/ fire. 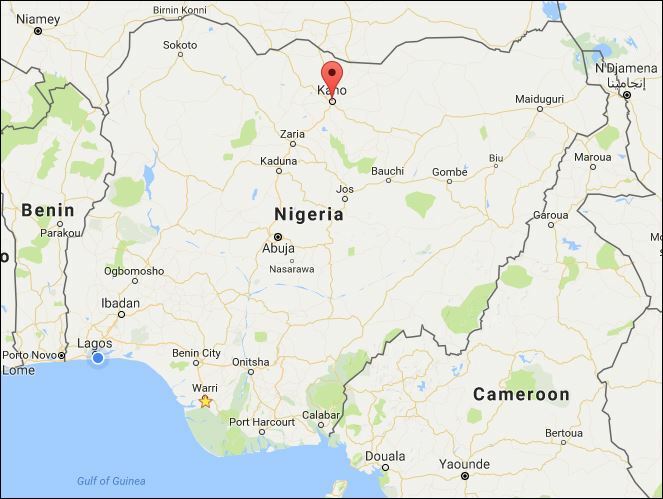 Kano city it seems but of course also found in other northern states and places. 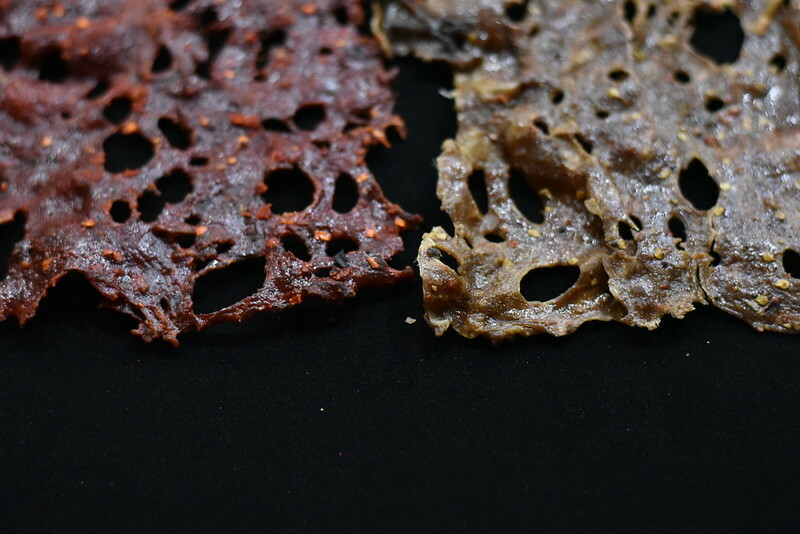 ‘Kilishi’ seems to have developed from the nomadic northern Fulani and Hausa herdsmen as a means of preserving meat in the absence of modern facilities. I imagine that on journeys with herds of cattle and other animals, they figured out ways top make different meat products from tsire to kilishi. It appears it also became importance as war food for emirs and warriors because of its stable and long shelf life. Kilishi is commonly processed with beef from the lean parts of the animal – with the Chuck, Round and Brisket (with tip steak, rump roast, round steak, top blade steak and pot roast being the common cuts). Commonly, the seasoning is made of peanut powder and spices – ginger, garlic, onions, various peppers – but I’ve recently discovered the use of tigernut flour. It is probable that it was a result of leftovers. Hear me out. In the north, kunun aya – a creamy, milky drink from tigernuts is very popular. It is very likely that the use of the tigernut ‘chaff’/ meal is as a result of this – to minimise waste and find other uses. The meat is trimmed of all most visible fat, sliced and/or pounded into thin, flat sheets, less than half a millimeter thick. A slurry of seasoning, labu is made with nut cakes (groundnut, tigernuts), water, bouillon cubes, salt, garlic and spices such as pepper, ginger and onion. 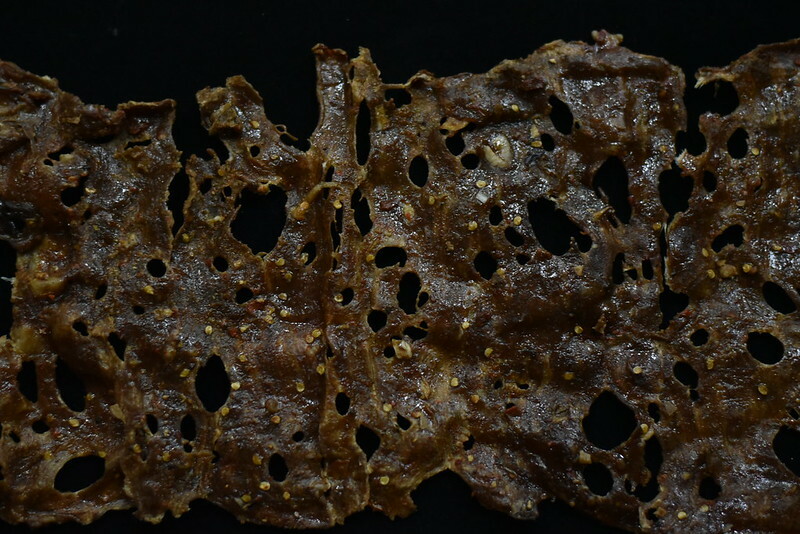 Kilishi processors reported that the use of these condiments added taste and flavour to the product as well as functioning as antimicrobial agents. The meat dries in two stages – a long initial time after slicing then a shorter time once coated in the seasoning. Many factors affect drying – seasons (dry season being more favourable compared with rainy), humidity, etc. The meat is dried on corn or papyrus mats and are turned often/ by the hour to prevent them from sticking. After first drying stage, the meat slices are dipped into the seasoning slurry and then laid out to dry again, turning frequently. Once the meat is dried, it is flame grilled – for texture and preservation – for a few minutes and voila, kilishi is readyy. I love learning about Nigerian cuisine – about northern and southern Nigerian food, about how things are made. Have I missed anything? 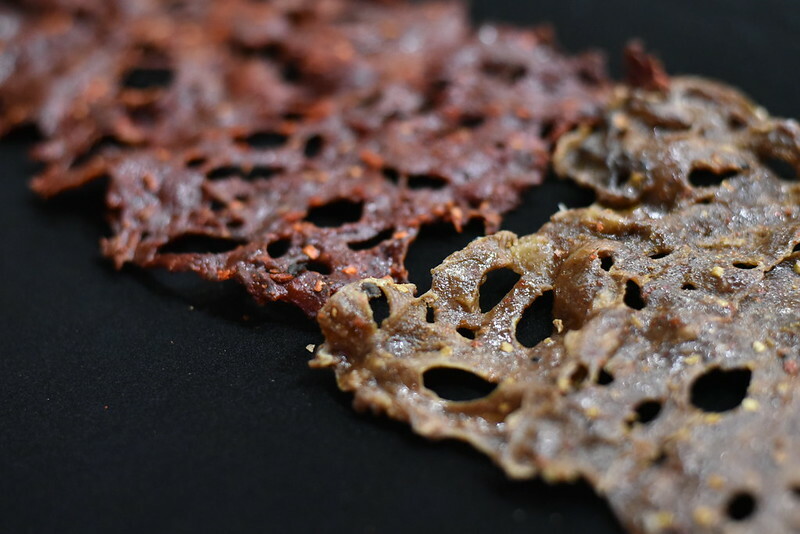 Any must-know facts about Kilishi? Please let me know. Thank you.